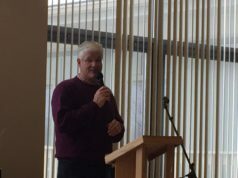 State Sen. Mike Shirkey hosted a public town hall Oct. 25 at Hillsdale County Senior Ser­vices to inform attendees about the content of the three ballot pro­posals and discuss them with the crowd. 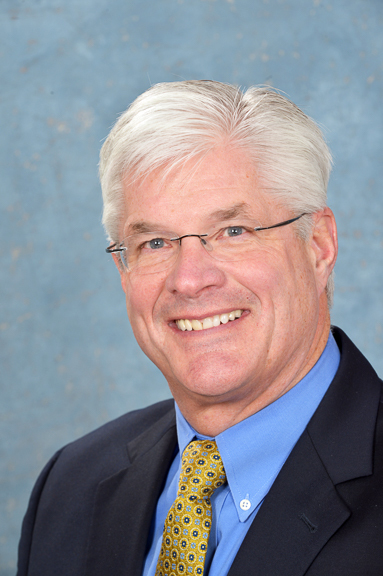 Despite the com­plexity of the pro­posals, Shirkey said that cit­izens have to know about them. Shirkey began the town hall by defining the three pro­posals. Pro­posal 1, which intends to legalize recre­ational mar­i­juana for people who are 21 and over, could be a statute, he said, meaning a citizen ini­tiated law. If it were to become law, any desired changes would require three-fourths votes from both the senate and the house. Even if it’s nearly perfect, it will require amend­ments, he said. 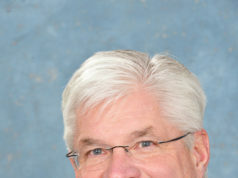 He referred to Michigan’s legal­ization of medical mar­i­juana in 2008 to emphasize the length of the amendment process. Shirkey explained Pro­posals 2 and 3 as citizen-ini­tiated con­sti­tu­tional amend­ments which, according to his opinion, require a higher level of scrutiny. He said all three pro­posals had sup­porters paying for sig­nature col­lectors and majority of the three pro­posals’ funding in col­lecting sig­na­tures were done by people with money, outside of Michigan. State Rep. Eric Leutheuser shared a few remarks as well. Leutheuser said out of all three pro­posals, he is mostly inter­ested in the third one. Vic­toria Powell, a member of the League of Women Voters in Ann Arbor, vol­un­teered to speak on behalf of her organization’s support of Pro­posal 3, which pro­vides several means of auto­matic reg­is­tration for voters as well as other new voting guide­lines. “It came about because we are tied, with Mis­sis­sippi, to be the worst state in the union to make it for people to vote in the state,” Powell said. Leutheuser empha­sized one of the most important prop­erties of Pro­posal 3 is that it changes the state con­sti­tution. In order to make further changes to this pro­posal, another similar pro­posal is required to make through both chambers of state leg­is­lature. 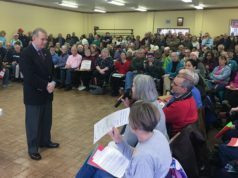 After answering some ques­tions, Shirkey spoke about Pro­posal 2 and how it’s com­mission will be of voters, not politi­cians. As pro­posed, the law requires a redrawing of dis­trict lines each year and sup­ports anti-ger­ry­man­dering by forming a com­mittee which would conduct the redis­tricting. Shirkey stated some of the ben­efits from passing this law could include tax rev­enues, paying for public infra­structure, decrease the black market for mar­i­juana, and lower criminal activity. “The reason for the modest tax is if you raise the tax too high and make it legal, then it’ll become a black market,” Shirkey said. He later men­tioned his dislike for this pro­posal because passing it could increase children’s access to the drug. Overall, Shirkey said he was pleased with the turnout and encouraged attendees to vote in the upcoming election. “We’re the United States, we have to have a vote,” he said.